La Zenia is a golden sandy beach located in Orihuela Costa, in the southern area of Costa Blanca, a short drive from Torrevieja. It is situated in a lovely residential area of the same name offering no shortage of amenities and retail complexes including a huge shopping centre called La Zenia Boulevard where retail outlets by the leading fashion and accessory names can be found. It is in fact one of the biggest shopping centres to be found in Alicante province. La Zenia Beach is split into two halves, Cala Cerrada (North) and Cala Bosque (South), by a rocky overhang. This unevenness on the land silhouettes one of the most stunning landscapes in Orihuela Costa. Take as many snapshops as you wish of this beautiful setting and be the envy of your Facebook friends and acquaintances! Cala Cerrada is a 167m stretch of fine white sand. A stairway on the promenade leads up to this magnificent beach. In contrast, Cala Bosque is a larger beach (360 metres of extension!) made up of white sand and equipped with a wide range of amenities and facilities which can be found both on the beach and along the seaside promenade. When visiting La Zenia, do not miss the opportunity to visit the archaeological remains displaying the Arab origin of the area which are to be found next to the accesses to these coves. 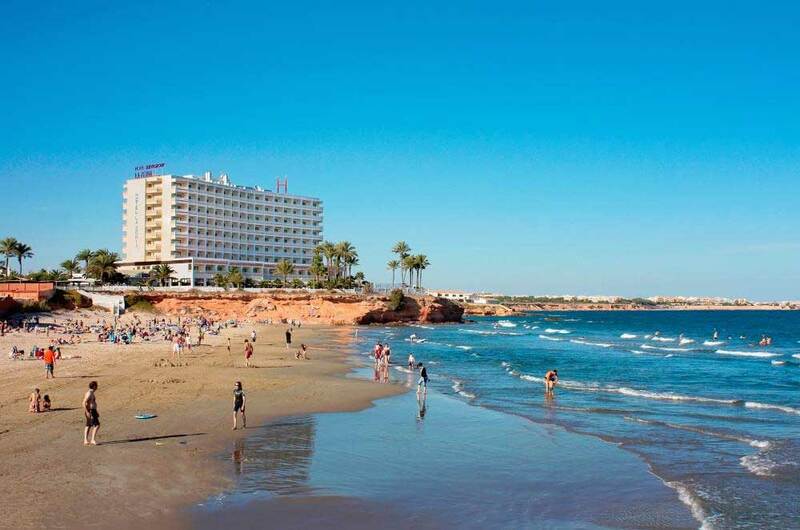 La Zenia Beach is the beach of choice of the holidaymakers on Costa Blanca. It has Blue Flag status thanks to the high quality of its water, its unrivalled location and the environmental preservation, awarded by the European Foundation for Environmental Education. Besides the great quality of its beaches and its excellent restaurants, all manner of water sports can be pursued in La Zenia. It is indeed considered as one of the best beaches on Costa Blanca South to practice all sorts of sea-orientated sports, especially windsurfing. Last but not least, enjoy the great little pleasures Costa Blanca offers: eating a delicious paella at any of the restaurants dotted along the seafront promenade with the deep-blue Mediterranean Sea as a backdrop picture. Get ready to capture the perfect Instagram shot: food + landscape.